Seaside Heights police and detectives from the Ocean County Prosecutor’s Office raided a Seaside Heights residence recently, making two arrests and seizing quantities of illicit prescription pills and marijuana materials. The raid at 325 Blaine Avenue, Apartment 2, came after a month-long investigation by the prosecutor’s office’s Special Operations Group, Northern Enforcement Unit and Seaside Heights Police Department. The investigation involved undercover officers, according to Al Della Fave, spokesman for the prosecutor’s office. The investigation focused on the distribution of prescription pain medication – specifically oxycodone. 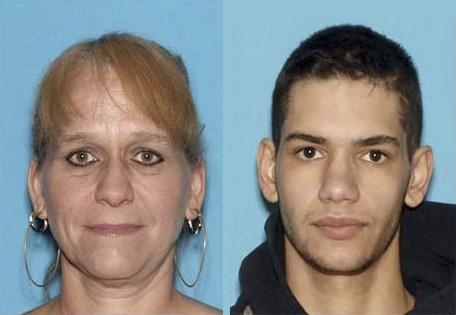 Authorities, on May 26, executed a “no knock” search warrant at the apartment, leading to the arrest of Kelly Borden, 46, and Thomas Melvin, 21, both residents of the apartment. The search resulted in the seizure of quantities of oxycodone prescription pain killers, along with quantities of “wax,” a derivative of the marijuana plant that is smoked from pipes, assorted drug paraphernalia and approximately $2,350 in cash, said Della Fave. Borden was charged with two counts oxycodone possession, two counts of possession with intent to distribute, two counts of distribution of oxycodone, one additional count of oxycodone and one additional count of possession of oxcodone with intent to distribute. Ocean County Superior Court Judge James M. Blaney set bail at $25,000 cash. Borden was subsequently housed in the Ocean County Jail. Melvin was charged with possession of marijuana (wax), possession of marijuana (wax) with intent to distribute and possession of drug paraphernelia. Melvin was released on a summons.